Indulge in luxuriously sleek Stretch Suede. The rich, sumptuously smooth fabric has maximum spandex content for easy stretch and ultimate comfort. The flexible, custom-like fit hugs furniture's curves, conforming to either rounded or angular arms. Available for both box cushion and T-cushion furniture. Comes in 2-pc, 3-pc and recliners and wing chair covers are 1-pc. • This stretch-to-fit slipcover is a 2-piece design: a main cover for the body of the furniture and a separate box cushion cover. 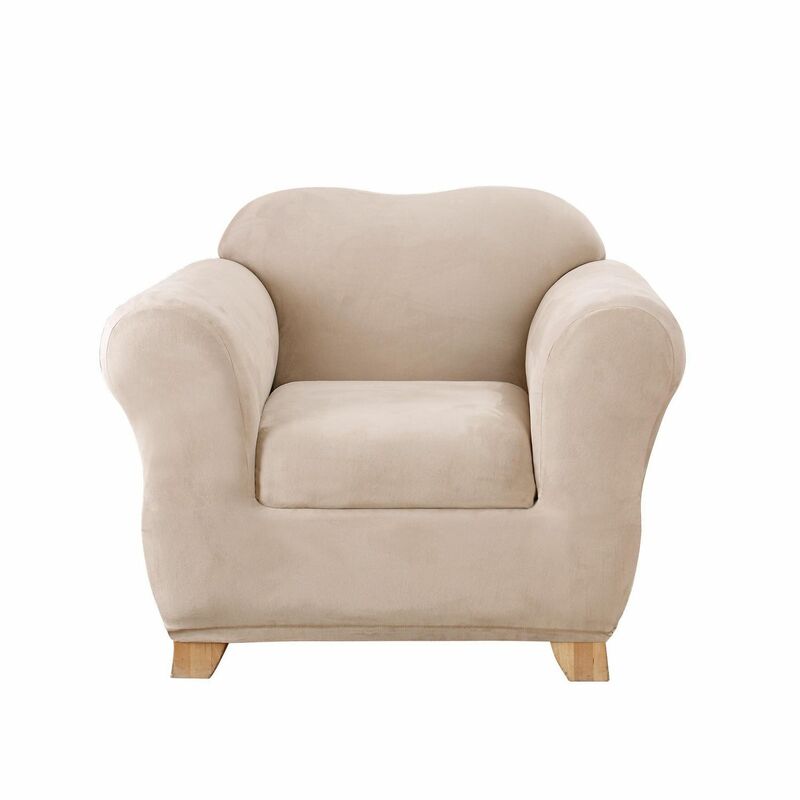 • Fits most armchairs 32" - 48" wide (from end of arm to end of arm), and 37" in height. • Easy to install, remove and maintain. • Machine wash cool on gentle setting. Do not use chlorine bleach. Tumble dry on low temperature. Do not iron.